The Abaco Slab Rack is ideal for shops with limited storage as it can handle many pieces of different sized materials. The rack consists of two 10' (3,048mm) steel bases and 20 poles 2 x 2 x 59" (50 x 50 x 1,500mm) with rubber caps to protect the stored material. 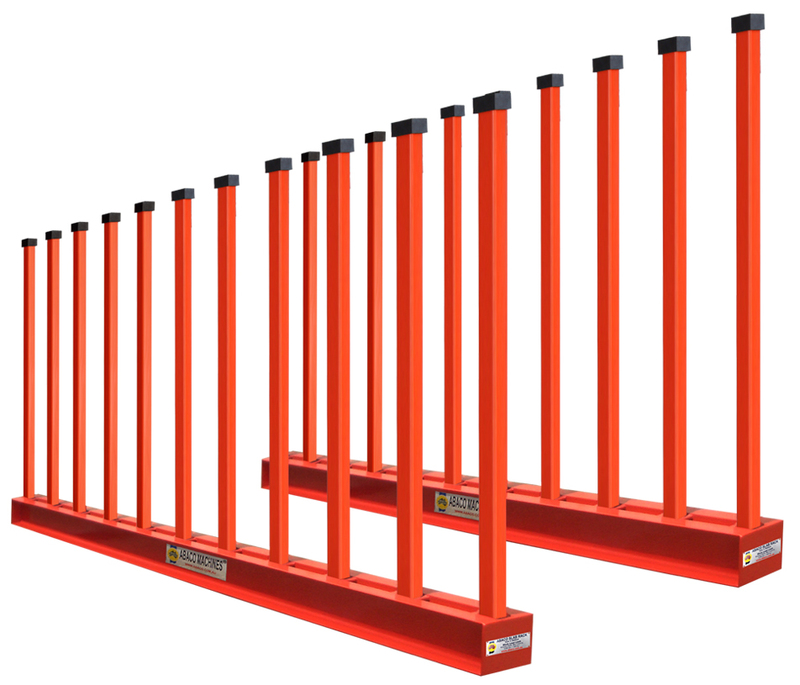 The Abaco Slab Rack is also available with rubber lined poles for added protection of your slabs.